STAT4 rs7574865 polymorphism has been evidently associated with susceptibility to Rheumatoid Arthritis (RA) in European and Eastern Asian populations, whereas studies in other countries reported otherwise. We investigated the distribution of STAT4 rs7574865 polymorphism in a group of Syrian RA patients. Eighty-one RA patients and forty healthy controls were enrolled and STAT4 rs7574865 was genotyped by direct sequencing. RA patients were stratified according to Anti-Citrullinated Protein Antibodies (ACPA) status for analysis. Minor T allele frequencies were 30.4%, 16.7%, and 23.8% in ACPA-positive RA patients, ACPA-negative RA patients, and healthy controls, respectively. No significant differences in STAT4 rs7574865 allele/genotype frequencies were found between ACPA-positive RA patients, ACPA-negative RA patients, and healthy controls (P>0.05). STAT4 rs7574865 TT genotype showed a potential impact on ACPA positivity in Syrian RA patients. However, STAT4 rs7574865 effect on RA onset and severity is minor compared to other genetic factors such as HLA-DRB1 shared epitope alleles. 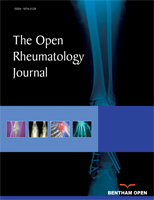 Keywords: : STAT4 rs7574865, Rheumatoid arthritis, Syria, ACPA, SNP, MHC. © 2018 Tarakji et al.